I said don’t forget me – Where Is My Teaspoon? Arghhh things have been crazy! I know its been ages since I posted anything but since the last one, I’ve moved to England and started my new placement. Its been brilliant but very tiresome so just haven’t had as much energy to bake. Trying to get back on track though, never fear. 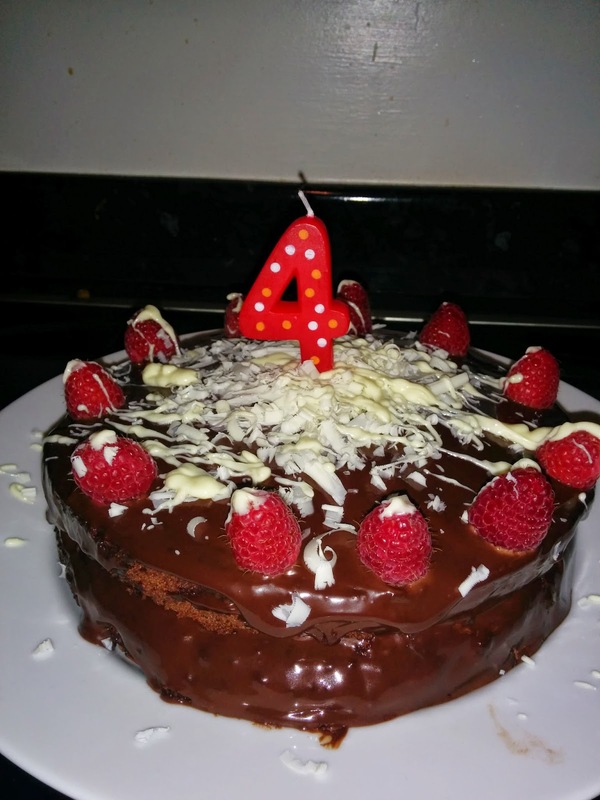 I made this Chocolate Cake for a 4th wedding anniversary last week and it turned out really well. Its a very straight forward recipe and is something that looks impressive, tastes good and is quick to make. Right, get out two 20cm cake tons and line them up. Preheat the oven to 190 and get out a nice bowl. Cream your butter and sugar together until light and fluffy. One by one, add the eggs and beat thoroughly. Next, add your vanilla and stir. Sift in your flour and mix until fully incorporated. Get a mug and add your cocoa powder. Measure the water and add to the mug, making a paste out of the cocoa powder. Add this to your cake batter and mix. Follow with your milk. This will make the cake light and fluffy! Divide into your two tins and bake for 25 minutes. 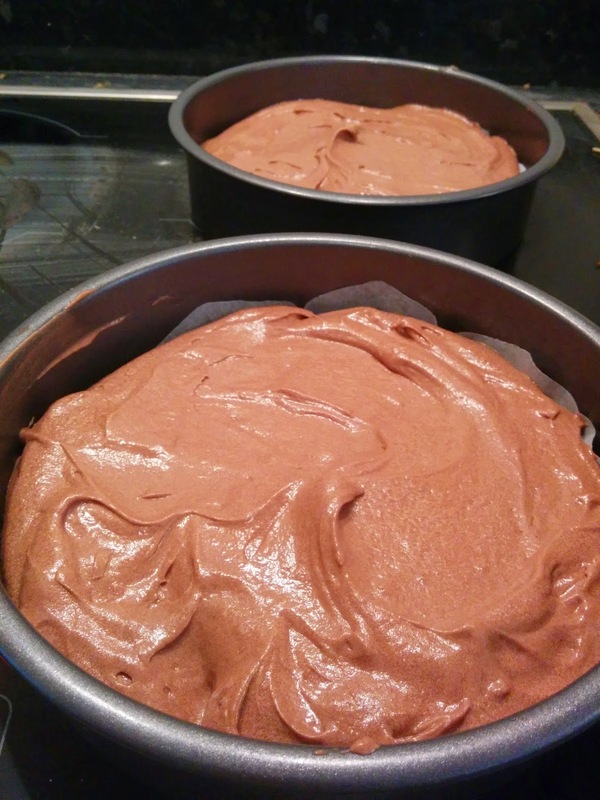 To ice this cake, I made our favourite chocolate ganache. Get 200g of dark chocolate and break it into pieces in a bowl. Pour in 250ml warm double cream and allow to melt. Once it thickens a bit, use a small amount to sandwich the cakes together and pour the rest over the top and around the sides. If you don’t want as much icing, leave some out. 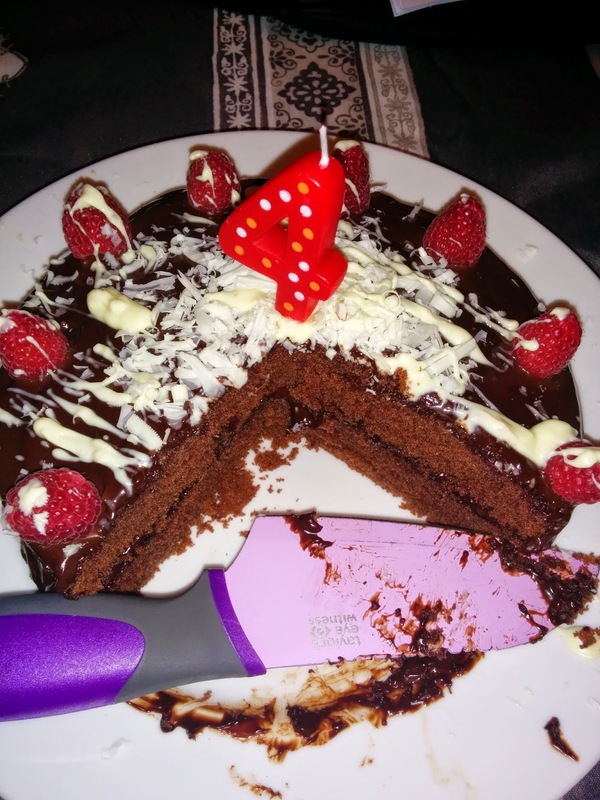 To make this cake a little different, I added the raspberries which always go so well with chocolate. I also bought a 100g bar of white chocolate for decoration. Lay the chocolate flat on a board and run your knife down, as if pealing it. This creates the little curls which are an effective, cheap and pretty decoration.